It's bedtime and you're looking for a story. Nothing too heavy, but something you and your child can share together. Here are twelve familiar stories, based firmly on Scripture, yet much more than a simple retelling. 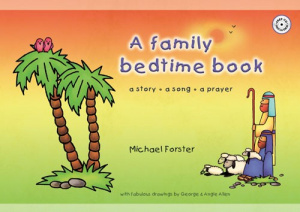 Michael Forster's light touch, humour and great imagination, combined with delightful colour illustrations throughout, will appeal to children and adults alike. Each story ends with a closing thought, a prayer or two, and a suggested song. The song texts are printed in full at the back of the book and there's even a FREE CD with backing tracks for all the songs in the book. The bedtime story is a wonderful part of your child's life to cherish and this charming book will help you to do that. 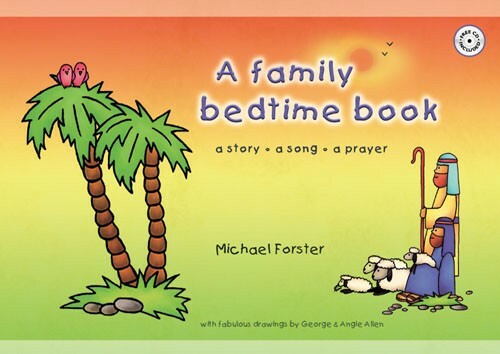 A Family Bedtime Book by Michael Forster is published by Kevin Mayhew and is our 3928th best seller. The ISBN for A Family Bedtime Book is 9781844176632. Be the first to review A Family Bedtime Book! Got a question? No problem! Just click here to ask us about A Family Bedtime Book.